Brexit – Reason behind WHY? BREXIT, a valise of “British” and “Exit” is the proximate disengagement of “United Kingdom” (UK) form the European Union (UN). Brexit follows the referendum of 23rd June,2016 when 51.9% voters stood for the strong concept of Brexit whilst 48.1% against. The overall turnout summed up to 30 million people voting with a referendum turnout of 71.8% . One of the most discussed sectors has been the financial industry, for several reasons. Primarily the financial industry is by all accounts a hugely influential sector in the British economy, contributing 12 percent to the UK’s total GDP. The sector also generates more than two million jobs with the biggest export industry in the country, accounting for nearly 50% of the UK’s $31bn trade surplus in services. The UK financial sector’s relevance to the rest of the EU is hugely definite. British banks lend nearly $1.4 trillion to EU companies and governments. Most of the financial activities of EU are precisely carried out of London with an estimate of 78% of EU27 capital markets vigorously conducted from UK. 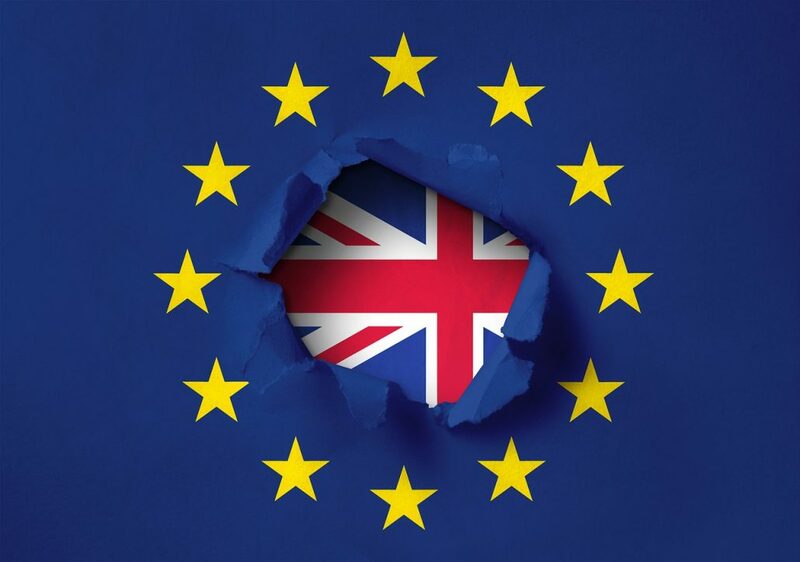 The European Shippers’ Council is pushing to revive old bilateral and multilateral haulage permits to replace the EU system that would disappear in the event of a nodeal Brexit. The “ideal solution” would be another EU level agreement allowing the continuation of seamless road haulage across borders, the Council says. Failing this, negotiators could fall back on bilateral and multilateral agreements. An alternative would be a permit system based on the ECMT agreement (European Conference of Ministers of Transport / Conférence Européenne des Ministres des Transports). These are multilateral permits that cover cross-trade but not cabotage (haulage within a country by a foreign haulier) and provide for a limited number of permits. For the UK, that limit is 1,224 permits annually: not enough considering that 500 trucks cross into the EU from the UK daily. To avoid a chaotic situation where these permits would be allocated on a first-come-first-served basis, the UK Government has introduced secondary legislation with allocation criteria such as “intensity of use”, though the Council points out that “even if it is passed by the Parliament, it will not be enough”. What happens to Britons living in Malta? Malta aims in being the best UK-friendly country after Brexit. British citizens in Malta will need to apply for a residency permit which will be valid for ten years in case the United Kingdom withdraws from the European Union without a deal. As a result, to the wise decision, students will still be able to continue their education whilst workers could continue to work here and live with their family. Post Brexit, Britions who come to live in Malta would also have a 10- year residence permit but the rights will commensurate as the third country inhabitants coming to Malta. What happens to Maltese living in UK? When the United Kingdom exits the European Union, EU citizens including the Maltese who have been living in the UK for at least five years, will be entitled to a new document called “settled status”. Almost four million European citizens in the United Kingdom are expected to apply for this status. As per statistics, close to 81,000 Maltese nationals with 50,000 Maltese descents reside in UK. Along with other EU citizens living, working and studying in UK, Maltese nationals can continue living there with their relatives and families post Brexit. However, a single residence document with reference to “Settled Status” or “Pre-Settled Status” needs to apply in case they do not hold a British passport. With the updated budget of 2019, Malta continues its high position as a financial services hub with innovative fund structures and benefits being offered to set-up a competitive and cost-effective jurisdiction. Malta has a great tax regime which enhances the economy and give a leeway to individual(s)/corporates across various industries with an exhilarated idea of savings and growth towards the economy. Malta has increased a cost-of-living wage of €2.33 per week, with a pro rata addition for student stipends. It also gives high value to retired/elderly people with an increase in pension by €2.17 per week. Additionally, the first €13,400 in pension will be exempted from yearly tax. Malta has increased its research and advancement towards environment and infrastructure investing €100million allocated for road reconstruction. Free public transport is provided to children up to 15 years of age and full-time students over 20 years. Malta believes a mantra of work life and personal life balance where taxes urges individual(s) to spend quality time with family, relative and friends. As per the budger,2019, there is an income tax refund of €40-€68 per worker. Children’s allowance to increase to up to €96 per year for households with less than €20,000 in annual income. Tax rebates for parents with children in private schools to increase by €300 per child. Maltese funds are usually not taxable there is an investment of a certain percentage of assets in Malta. These are also exempt from capital gains on shares and withholding taxes. Regardless of what the final hearing of Brexit remains, the Team of SMM is all geared to legally assist and guide anyone looking to set up in Malta as a choice. Our on the ground knowledge, helps us engage and assist our clients with the ongoing compliance. SMM team believes in a disciplined and structured way to provide seamless service to our clients which caters all their needs.